It’s Black Friday, which means you should be out looking for some of the best deals available. For us, that means it’s time to look at who got the best deals—or rather the best steals—of the inaugural NBA 2K League draft way back in April. Yes, there are steals that probably won’t get mentioned. Everyone’s underrated. The rules: only players from rounds 4-6 will be considered. Obviously high picks turned out to be steals, such as the Grizz getting AuthenticAfrican in the second round, but these are all players whom teams missed out on multiple times. We’re also placing a little more emphasis on individual performance than team success. That means that although role players and chemistry boosters, such Heat Check’s later picks, helped teams move far (for the Heat, even to the NBA 2K League finals) they aren’t going to feature since they made more of an oblique impact on their team’s success. It’s hard to remember that iamadamthe1st dropped all the way to the middle of the fourth round, but he did. 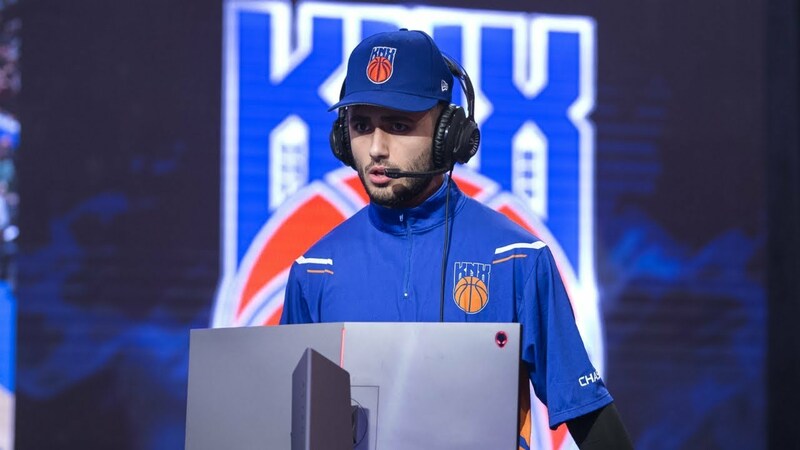 Arguably the league’s most marketable star turned out to be a pretty stellar player, too, locking in after the patch and helping to lead his team to the first-ever NBA 2K League championship. Adam was the second of two point guards picked in the fourth round (after Pacers Gaming’s Gooner) and the third-last point guard picked overall in the position-specific draft. Adam finished his campaign averaging 16.8 points and 10.6 assists per game, across tournaments and regular-season play, and formed an unbeatable pick-and-roll combination with Goofy. Finding a starting point guard in the fourth round was hard enough; finding one of your franchise cornerstones and one of the faces of the league is incredible. Yes, Idris was underrated then. The then-center slipped to 77th overall in the draft before the Knicks swooped in and found yet another crucial championship piece. Idris will be back for season two in the Big Apple, of course, after averaging 18.6 points and 6.0 rebounds a game across three positions for the Knicks. Idris brings some characteristic swagger to the league champions, and there’s really no reason why a player of his talent slipped as far as he did in the draft. Nonetheless, the Knicks are pretty happy he did. Once Idris and the rest of the team bought in, it was clear they had more than enough talent to win it all. Grabbing Idris in the fifth round ensured that such a talent base was there in the first place. The highest-drafted player on this list nonetheless proved adept before and after the patch. The Raptors protected AllHailTrey after a sterling campaign that flew under most people’s radar for a long time. Trey proved to be extremely versatile, spending serious time at three positions before settling in as one of the league’s best sharpshooting rim protectors and shot-creating slasher stoppers. The fourth-rounder finished with 14.4 points and 3.5 rebounds per game, but played an important role in the Raptors’ 7-1 run to the playoffs, providing both rock-solid defense and estimable offensive balance to the Uprising. No other player drafted in rounds 4-6 had the post-patch defensive impact that Trey brought to the floor. KingCam was one of only two sixth-rounders protected in the initial player-protection window, and for good reason. KingCam’s insertion into the lineup in Week 3 proved a pivotal moment in Magic Gaming’s season, as the sixth-round pick helped turn around the team’s fortunes. Arguably no other sixth-round pick made as much of an impact as KingCam, who helped the team finish 8-6 on the regular season, and 8-4 with him in the starting lineup. Drafted as a power forward, the 95th overall pick finished the season with 13.0 points and 8.1 rebounds per game. Whether by correlation or causation, KingCam played a role that no other sixth-round pick played in helping Magic Gaming come oh-so-close to reaching the playoffs. That’s pretty great value for a sixth-rounder. 76ers GC found one of the preeminent sharpshooters in the league in the sixth round. The 76ers retained ZDS after a sparkling campaign that saw him score 13.3 points per game, predominantly as a pure sharpshooter. ZDS stepped into the starting lineup in 76ers GC’s early run to the TIPOFF tournament banner and proved his worth as one of the best shooters in one of the league’s best long-range attacks. ZDS was well worth the third-round pick spent to retain him late in the first trade window; the 76ers valued him so highly as to ask for a first-rounder for him in trade negotiations. Only four sixth-round picks are guaranteed roster spots for season 2; 76ers GC found the perfect piece with theirs.